This seven-night gastronomic walking holiday invites you to discover the essence of Burgundy; a place where centuries-old culture and practices meet the modern world in a region world famous for its traditions of wine and gastronomy. Here you'll find mediaeval Beaune, whose walled old town houses the immaculately preserved 15th century Hospices de Beaune, picture-perfect Meursault and a host of authentic Burgundy chateaux; this region has more chateaux than any other in France. To the north, past the Combe Lavaux - Jean Roland Nature Reserve, where wildflowers grow and peregrine falcons and eagles nest, lies the regional capital of Dijon. The city boasts a rich blend of architecture alongside the magnificent palace of the Valois Dukes, now home to the Museum of Fine Art. The walks provide a wonderful balance of quiet country lanes, vineyard tracks and woodland trails taking in sleepy, unspoilt villages, majestic vine-clad hills and ancient oak forest. Sample fine wines in C13 cellars and enjoy lunch in a selection of medieval towns including world-renowned Nuits-St-Georges. Walk the historic streets of Dijon and hunt for truffles with Yann and his dog Elfe in the grounds of a secluded chateau. This area is popular with gastronomes and for good reason! You can look forward to fine dining on Filet de boeuf flambe a la sauce creme de truffe or Sandre aux echalotes confites et au Pommard and sampling some of the regional cheeses - Brillat Savarin and Epoisses - accompanied by the region's incredible Pinot Noir and Chardonnay wines. You'll stay in wonderful hotels including an elegantly renovated farmhouse with picturesque gardens, a lovingly restored former winery and a modern 4 Star hotel complete with spa facilities. Walking is along a mixture of small country roads, vineyard tracks, and woodland or forest paths. Walking boots are recommended. Free time to discover this lovely city and marvel at the multicoloured roofs of the 15th-century Hospices de Beaune. 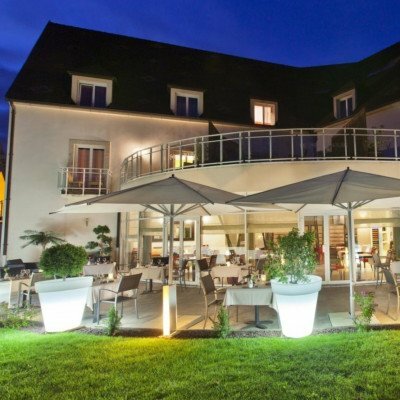 Overnight at the Hotel le Cep with the choice of Beaune's restaurants for dinner (pay locally). In the afternoon, we take you to the Hotel le Clos, a lovingly restored C18 hotel, a former farmhouse in Montagny-les-Beaune, in time for your first gastronomic dinner at a local restaurant. This morning we'll take you to the start of your walk. You'll begin by crossing over the northern tip of the limestone escarpment of the Cote-d'Or to gain wonderful views across the plain as you descend to the village of Chenove. From here turn south and wind your way along the Chemin des Grand Crus, passing the vineyards of Couchey and Fixin and continuing along to the famous wine village of Gevrey-Chambertin. Here you'll find your hotel, a beautifully restored 18th century former winery, with an extremely warm welcome from the owners, Paul and his wife Jolanta. Options today include taking the train to Dijon or Beaune. In Dijon stroll the history-filled streets and alleyways with 12th-15th century timbered houses to see the Church of Notre Dame, cathedral and the grand Palace of the Dukes of Burgundy. In Beaune marvel at the multi-coloured roofs of the 15th century Hospices de Beaune. Leave the vines behind today and head up into the woods where you'll follow an old disused railway track. Wind through shady, protected woodland before emerging back into the sun-soaked vines behind tranquil Morey-St-Denis, a good place to enjoy a coffee break. Continue on through the sleepy village of Chambolle-Musigny to Vougeot and visit the historic Chateau du Clos de Vougeot which produces one of the world's most celebrated Grand Cru wines. From here it's just a short distance to Vosne-Romanee where your 4 Star hotel and restaurant await. There are two options for your 'rest day'. You could walk up through the woods to a secluded chateau in the hills, behind the vineyards of Vosne-Romanee - here you have the opportunity to learn about truffle hunting in the chateau grounds with Thierry, his son Yann and their specially trained dog Elfe (Thursday to Monday only). Alternatively take a stroll through the vines to the world-famous medieval town of Nuits-St-Georges. Explore the town and enjoy lunch here, then maybe a spot of wine tasting in one of the many local caves. A 25-minute transfer takes you to Pernand-Vergelesses to follow vineyard tracks past the Hill of Corton, once owned by Holy Roman Emperor Charlemagne. Then it's on to mediaeval Savigny-les-Beaune for a morning coffee next to the impressive chateau, which houses a collection of vintage cars, motorbikes and planes. Walking up through woodland, you emerge above Beaune with spectacular views over the town and its surrounds. Descending into the vineyards you can visit the Parc de la Bouzaise or Beaune before continuing on to the hotel. 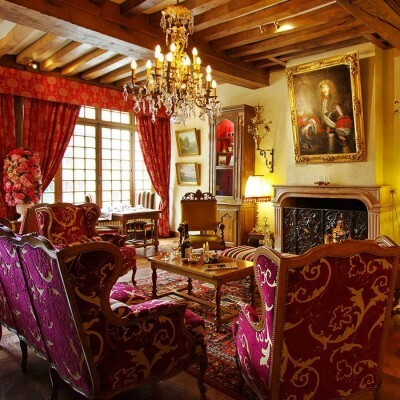 In the centre of mediaeval Beaune, Burgundy's traditional wine capital, and located just minutes from the famous Hospices de Beaune and Notre-Dame Basilica, is Hotel Le Cep. The hotel has become an institution in the town, due in no small part to its top notch service and authentic decor consisting of wooden beams, fine fabrics and antique furnishings. Additionally, a private garage and parking, French garden, two C16 historical courtyards, bar, breakfast cellar and period sitting rooms, help to make Le Cep rather unique. Right next door lies the gastronomic, Michelin starred restaurant Loiseau des Vignes but in Beaune there are restaurants offering fine dining around every corner! 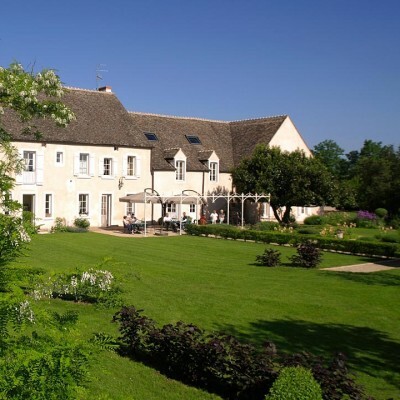 This charming 4 star hotel is a beautifully restored former C18 farmhouse, set within its own gardens just 10 minutes from the centre of historic Beaune. The natural surroundings match perfectly with the cosy interior, which is finished with wood, terracotta, refined fabrics and a variety of original antique furniture. The friendly owner, Alain Oudot, is happy to offer a selection of drinks from the hotel's small but well stocked bar while Mme. Oudot can often be found tending to the hotel's well looked after garden. In the morning, breakfast can be taken on the terrace among the flowers and scents of the herb garden, and in the evening an aperitif in the courtyard provides a perfect accompaniment to the last rays of the day's sun. The duplex suite offers a more spacious room spread over two floors. Les Deux Chevres is an elegant former C18 winery providing luxury boutique accommodation in the famous ancient wine village of Gevrey Chambertin. Lovingly restored in 2013 by Paul and his wife Jolanta, the property occupies a beautiful location in two historic buildings in the 'Old Quarter' of the village. 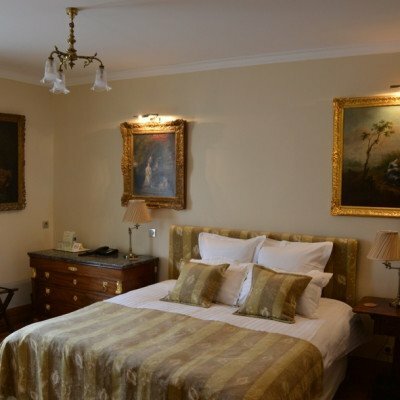 Rooms here display many of their original architectural features such as wooden beams and stonework and they are tastefully decorated with antique furniture and original artwork. The majority of rooms also enjoy views over the courtyard, the garden or the vineyards. Room upgrades: Comfort Room or Superior Room . The comfort room provides more space and a bath and the superior is larger again and offers vineyard views. Lying right alongside the vineyards of Vosne Romanee (home to the world's top two most expensive wines!) and just off the Route des Grands Crus wine route (which runs from Dijon to Santenay), this relaxed, modern 4 star hotel offers refined rooms furnished with colorful fabrics, flat-screen TVs, free Wi-Fi and minibars. The hotel serves continental breakfast and dinner is taken in the fine-dining restaurant. There is also a piano bar, a garden terrace, and a spa with a whirlpool, sauna, steam room and treatment rooms. Our standard room here comes with a private terrace at the back of the hotel. Please note that the spa facilities at the hotel will not be available from 3rd to 6th Sept 2018 inclusive. Room upgrades: Terrasse Room, Junior Suite or Cocoon / Sauna Room. The Cocoon room comes equipped with a private infrared sauna, offering the same benefits as a traditional sauna, but at a more tolerable temperature. 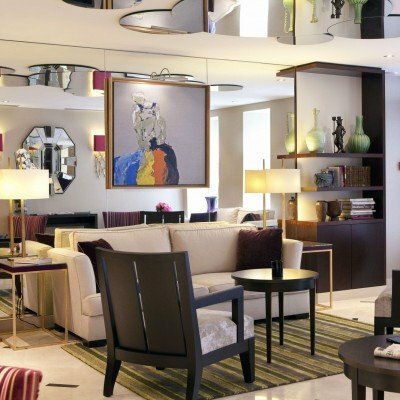 The 4* Le Senat is simply stunning! There are just 41 rooms, all stylishly furnished and a couple of suites with terraces, if you really fancy splashing out! All have satellite television, mini bar, air-conditioning, safe and hairdryer, plus Internet access. The hotel has its own small bar - adorned with photographs of eminent artists, being in the heart of the artists' quarter - plus a reading room with complimentary internet access. Breakfast is taken in the basement, where you'll find a copious buffet of viennoiseries, cereals, fruit salad, ham, cheese, bread, yoghurt, bacon, eggs, sausage, fruit juices, tea or coffee. If you prefer, you can have a continental breakfast served to your room at no extra charge. Le Senat is perfectly located on a quiet side street just a stone's throw away from the Luxembourg Gardens and metro, and a five-minute walk from the vibrant Latin quarter, where you'll find a plethora of restaurants to suit all budgets. On day 1 customers should make their way to Hotel Le Cep by taxi approx 10€ for approx a 10 minute journey. Transfer on day 2 is included from Le Cep at 16:30 Mon-Sat, 16:00 Sun and back to Beaune train station at 09:15 all days except Mon, Thurs & Sat when 08:30. Every two days from 6th May 2019 to 7th Sep 2019, for 7 nights. All dates are subject to availability, please contact us to check.